In 21 case studies, the EUKI project BEACON evaluated national climate policies in European countries. 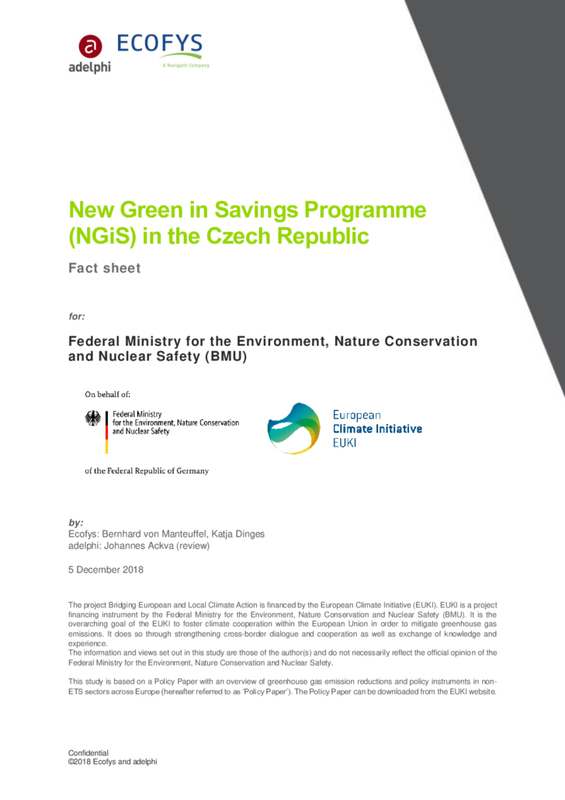 The New Green in Savings Programme (NGiS, 2014-2021) of the Czech Republic financially supports renovation, efficient heating systems and nearly zero energy buildings in the area of residential buildings. It is the programme with the highest potential to reduce GHG emissions in the building sector in the Czech Republic and obtains most of its financial resources through EU ETS auction revenues. Forecasts say that it may well reduce GHG emissions by 1 MtCO2e per year until 2020 with a cost efficiency of 150 EUR/ per tCO2e.